Distal Femoral Fractures: Complications and How to Avoid them? Dept. 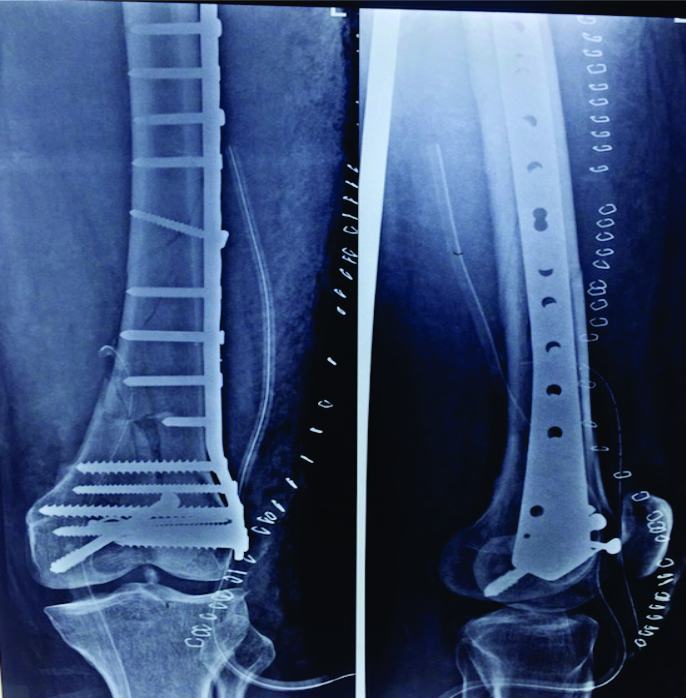 of Orthopedics, Sir HN Reliance Foundation Hospital, Girgaum, Mumbai. 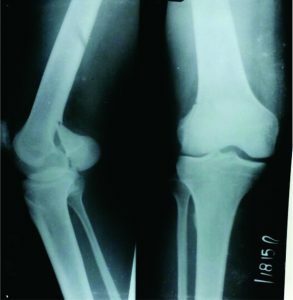 Distal femur fractures are common but complex fractures and often are associated with complications. The cases of failure may be secondary to mechanical failure or biological failure. The current review offers overview of these complications and tips and tricks on how to manage these complications. Distal femoral fractures are severe injuries which are technically challenging to treat surgically. The incidence is between 4% to 6% of femur fractures and 1% of all orthopedic trauma. The numbers are going to increase with advent of rising geriatric population and also a secondary fallout of replacement surgeries that are giving rise to peri-prosthetic fractures . Trauma can be low energy as seen with geriatric population or high-energy. 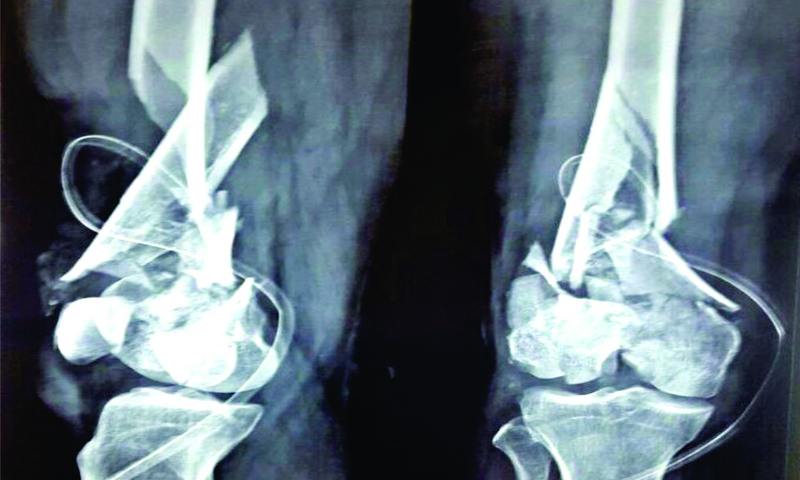 It is imperative to know distal femoral anatomy, fracture characteristics, bone quality, patient goals and implant design to treat this fracture optimally and avoid complications. In olden days, these fractures were treated conservatively using traction and bracing. 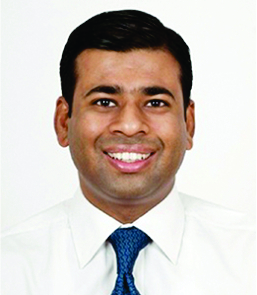 [REF]However, with new minimally invasive surgical techniques and implants, better understanding of distal femoral anatomy and fracture biology, surgical stabilization and early mobilization is favored. Deforming Forces around distal femur: The distal femur is encompassed by several group of muscles that lead to different deformities at fracture site. In coronal plane, adductor and IT band causes varus /valgus deformity . Apex posterior angulation is typical deformity imparted by two heads of gastrocnemius which also poses difficulty in reduction in sagittal plane. On the other hand, quadriceps causes shortening in communited fracture. Type B1 depicts sagittal split of lateral condyle whereas B2 is split of medial condyle. B3 is coronal fractures known as Hoffa fractures. 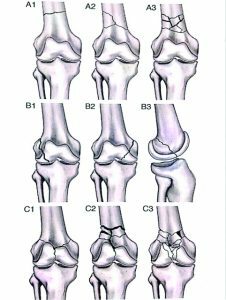 Type C are further divided into C1- simple articular, simple metaphyseal, C2- simple articular, multi-fragmentary metaphyseal, C3- multi-fragmentary. Frcature: The failure can be broadly classified as mechanical failure or biological failures. a. Right Indication: Open fractures/ Extreme communition, Poor Skin condition and as an adjunct fixation or as a part of damage control orthopedics. b. Good Reduction: Wires can be used to joystick and accurately reduce the fracture. Ensuring a good reduction is the key to a definitive fixation. d. Supplementary Fixation: Occasionally it is used with Enders nail or other IM Devices so as to enhance the stability and improve reduction. 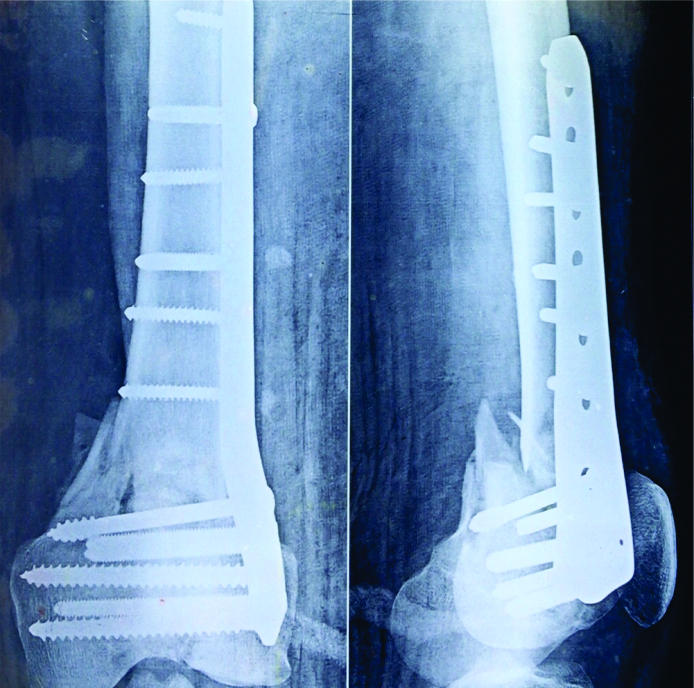 Fixed Angle devices and dynamic condylar Screw: The 95 degree angled blade plate provides rigid fixation owing to angled side plate which could be impacted into distal femur and held rigidly. Disadvantages are that this fixation modality needs large exposure., provides inadequate fixation in osteoporotic bone and it cannot be used to address all types of fracture for e.g. Hoffa fracture. Compared to locking plates, these devices are weaker construct leading to early failure and more subsidence on weight bearing. Dynamic condylar screw, which is variant of fixed angled device, allows compression across inter-condylar area. Even it is not capable of addressing coronal fractures and it removes lot of bone while inserting screw. It also bends at plate barrel junction on loading leading to varus at fracture site. It is weaker construct in view of axial stiffness compared to locking devices, but similar in torsional stiffness. a. Right Indication : Simple intra-articular with metaphyseal extension, no communition in intra-articular area. Contraindicated in type C3 fractures. c. Biology: can be supplemented with lag screws, avoid excessive periosteal stripping, cement augmentation for blade or screw placement. d. Supplementary Fixation: Medial communition requires Ender’s nail from medial condyle going up to shaft or medial plate. 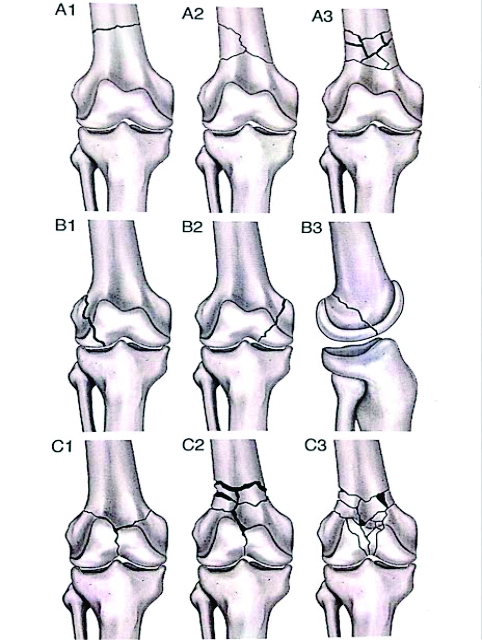 Figure 2: Hoffa’s fracture –B3. 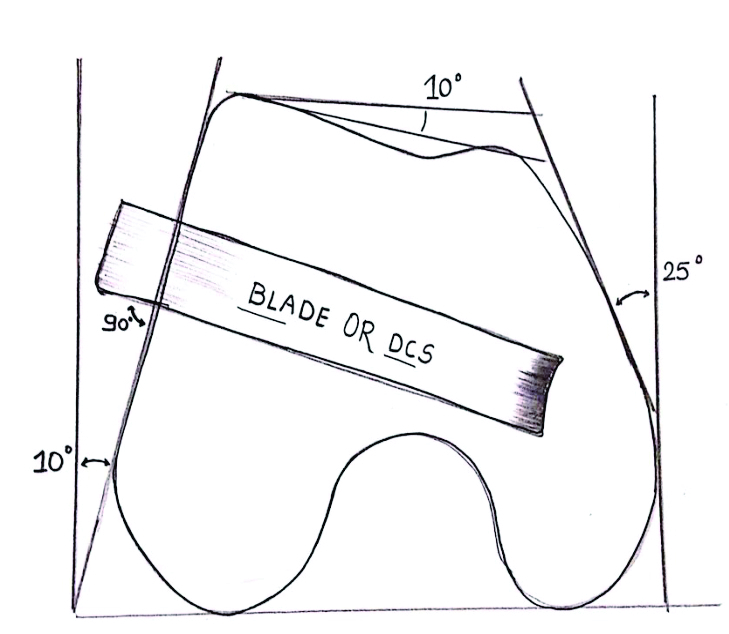 Figure 3: Precise placement of fixed angled device in distal femur. 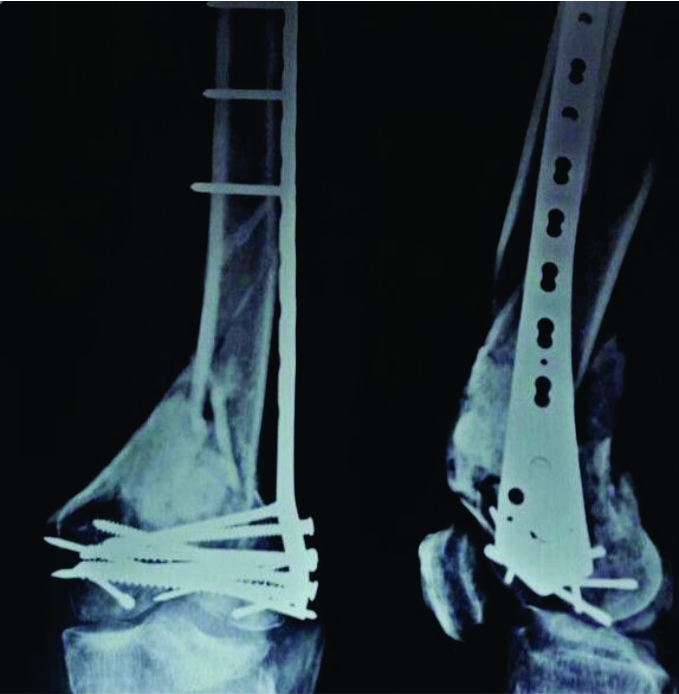 Locking and Non Locking Plates: Locking plates preserves periosteal blood supply by abolishing tight plate-bone interface leading to flexible construct which allows micro-motion at fracture site resulting in callus formation. If same locking plate is applied in a rigid way, it is bound to fail in communited fractures as rigid construct doesn’t allow secondary bone healing (callus formation) . Screw placement also plays important role in the biomechanics. Locking screws at proximal most hole of plate leads to thigh pain and periprosthetic fracture due to stress concentration. Filling of all screw holes, especially near the fracture site makes he construct rigid and hampers callus formation . Excessive periosteal stripping also lead to loss of vascularity and eventually failure of fixation. Locking devices though more stable axially and torsionally compared to other rigid implats, it fails when there is severe medial communition. Medial endosteal plate in case of medial communition is a good adjunct to lateral locked plate . 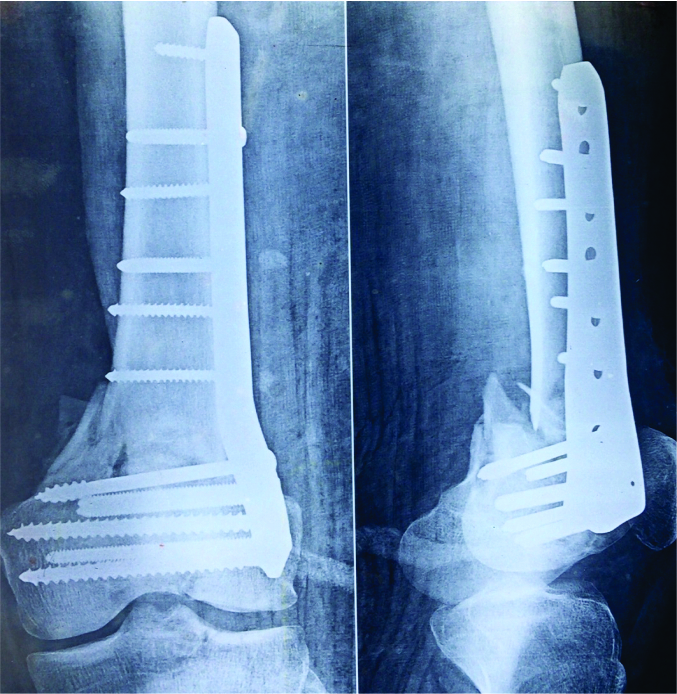 But it poses difficulty with future implant removal and arthroplasty. Figure 5: Open distal femoral fracture –C3 type. Figure 6: Locking plate done in biological way. a. Right Indication : Severe intra-articular communition, very short distal femoral block available for fixation, Periprosthetic fractures. c. Biology: Plate need not to be flush to bone, choose plate long enough to have empty holes same as holes with screws. 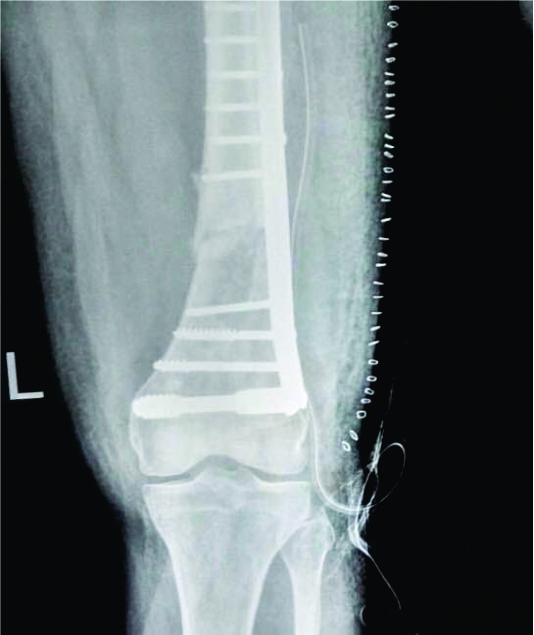 d. Supplementary Fixation: Endosteal plate in case of medial communition. Retrograde Femoral nails: Other option is retrograde femoral nail which is biological means of fixing distal femoral fractures. As a load sharing device it offers advantages like early weight bearing and prevents deconditioning due to prolonged immobilization. 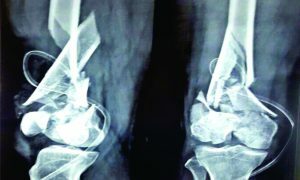 Complications associated with nailing are knee joint stiffness, fat embolism, inadequate fixation in distal fragment leading to failure and fracture at the tipoff the nail proximally due to stress riser effect, if nail is not long enough to engage isthmus . Figure 7: Locking plate used for rigid construct. 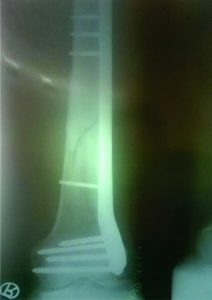 Figure 8: Malreduction of distal femur fracture. Figure 9: Combination of C3 type with Hoffa’s, showing malreduction. a. Right Indication: Implant of choice for supracondylar fracture without communition, for simple Supracondylar periprosthetic fracture where box is open to receive nail. b. Good Reduction: nullify deforming gastrocnemius muscle force by flexing knee to 30 degree. c. Biology: reaming gives local endosteal bone graft. Avoid damaging cartilage or Metallic femoral component while taking entry. d. Supplementary Fixation: Locking plate on lateral surface, combination of both these implants gives axial as well as torsional stability . Biological Failures: Biology plays a very vital role in any fracture healing and same is true for distal femur fractures. Any construct no matter how rigid and sound it is, is likely to eventually fail in the event of non union. Fracture healing depends on an interplay of healing cascade and the important players in ensuring the smooth running of this cascades are: Stem cells, Optimal mileu with presence of growth factor and scaffold. In lines with these in absence of any one or all of this, fracture healing will not occur. Loss of Stem cells: This happen when the fracture is open, patient is old or nutritionally challenged. Certain comorbidity also contributes to lack of these cells at the site and also their subsequent recruitment. It is thus vital to identify the responsible condition/ at risk individual and have a low threshold for primary bone grafting in these patients. Optimal Milieu: Stem cell also known as inducible osteoprogenitor cells differentiate into osteoblast only when given the right stimulus. These stimuli are in fact the growth factors, the most important of which are transforming growth factor and vascular endothelial growth factors. These may be lost in case of open wounds, lack of blood supply as in case of vascular injuries and iatrogenically secondary to poor tissue handling and periosteal stripping. Loss of Scaffold: New bone will best form over or with existing bones. If there is huge bone loss then it is difficult for bone to heal and form a weight bearing structure. Failure to recognize this may lead to early biomechanical failure. Bone defects thus must be filled with the bone graft or bone graft substitutes that allow the natural new bone to form and organize. Figure 10: Plate breakage in non-union. 6. Identifying delayed unions and treating them at opportune time. Managing Failures: Failures should be tackled Biologically and mechanically irrespective of the cause of failures. Biomechanical: A careful assessment of the cause of failure will often guide us to the correct choice of implants. If one implant has failed, it is usually advised that it be replaced by an alternative type of fixation, for eg if the locking plates have failed and the fracture pattern is amenable to intramedullary fixation, these should be used as the mode of fixation. A supplemental fixation may also be a good idea along with combination of two modalities in case of difficult scenarios. It is very important to exactly understand the fracture pattern, mode of failure of previous implant and patients healing capacity apart form the local skin condition and milieu. A thorough assessment with additional modalities such as CT scan may also be warranted in certain cases . Planning well is the key in ensuring optimal outcome. Biological: Almost all failed cases require to be supplemented by some form of biological enhancers. The most common of these is the autologous bone grafting, Autologous bone grafts are excellent source of stem cells, containg growth factors and act as a scaffold for bone formation. Alternatives to bone grfat that also be used as supplements include Allografts, de mineralized bone matrix ( DBM) or synthetic bone usually ceramics. ( Beta tricalcium phosphates and Hydroxy appatite combinations). Certain case may also require growth factors such as BMP for enhancing the healing and success of fixation. 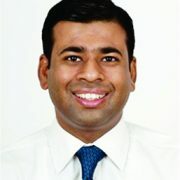 2.Agarwal A. Open reduction and internal fixation of the distal femur. In: Wiesel SW, editor. Operative techniques in orthopaedic surgery, vol. 1. Philadel- phia: Lippincott Williams & Wilkins; 2011. p. 582–4. 3.Haidukewych GJ. 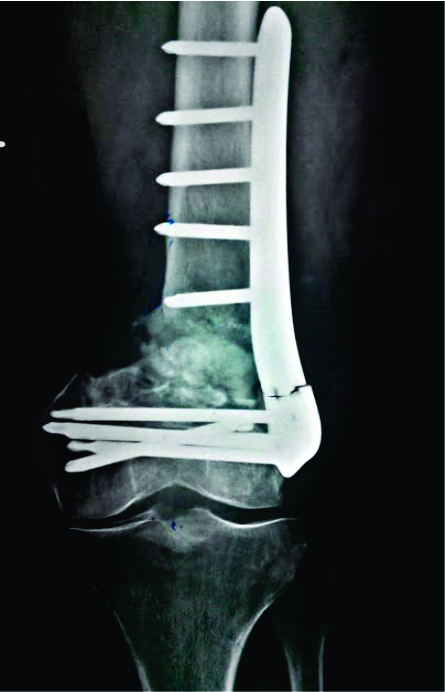 Temporary external fixation for the management of complex intra- and periarticular fractures of the lower extremity. J Orthop Trauma 2002;16(9):678–85. 4.SinghAK,RastogiA,SinghV.Biomechanicalcompar- ison of dynamic condylar screw and locking compres- sion plate fixation in unstable distal femoral fractures: an in vitro study. Indian J Orthop 2013;47(6):615–20. 5.Henderson CE, Lujan TJ, Kuhl LL, et al. 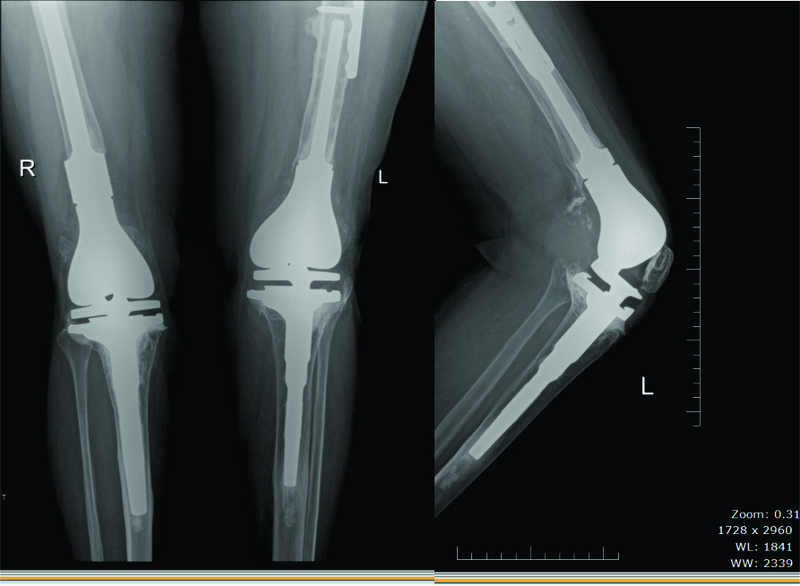 2010 mid- America Orthopaedic Association Physician in Training Award: healing complications are common after locked plating for distal femur fractures. Clin Orthop Relat Res 2011;469(6):1757–65. 6.Stoffel K, Dieter U, Stachowiak G, et al. Biomechanical testing of the LCP–how can stability in locked internal fixators be controlled? Injury 2003;34(Suppl 2):B11–9. 7.Prayson MJ, Datta DK, Marshall MP. Mechanical comparison of endosteal substitution and lateral plate fixation in supracondylar fractures of the femur. J Orthop Trauma 2001;15(2):96–100. 8.Beltran MJ, Gary JL, Collinge CA. 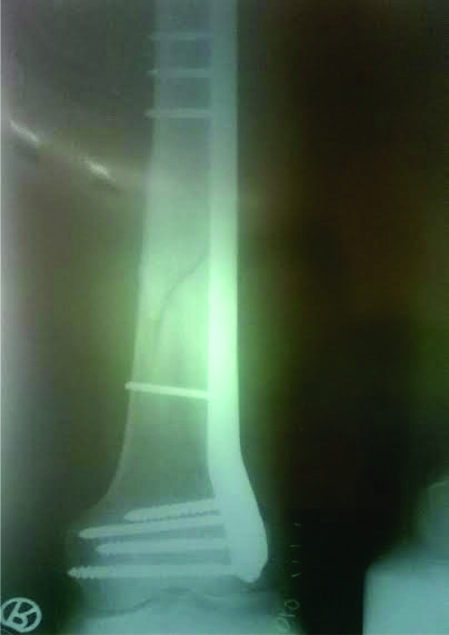 Management of distal femur fractures with modern plates and nails: state of the art. 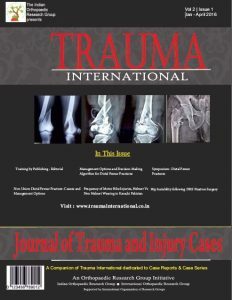 J Orthop Trauma 2015;29(4):165–72. 9.Basci O, Karakaslı A, Kumtepe E, et al. Combination of anatomical locking plate and retrograde intrame- dullary nail in distal femoral fractures: comparison of mechanical stability. Eklem Hastalik Cerrahisi 2015; 26(1):21–6. 10.Suk M, Desai P. Supracondylar femur fractures. In: Archdeacon MT, editor. Prevention and manage- ment of common fracture complications. Thorofare (NJ): Slack; 2012. p. 236.